AEP Linac has the pleasure of inviting you to come and visit us at our booth during the 2nd Russian Scientific and Educational Congress on Oncoradiology, Radiology and Radiotherapy. 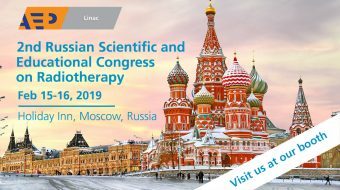 The congress will be held on the 15th and 16th of February 2019 at the Hotel Holiday Inn Moscow Sokolniki. до скорой встречи!/See you soon! 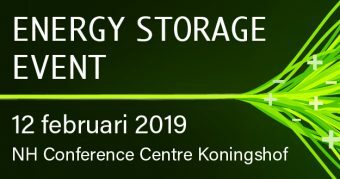 On the 12th of February 2019, the 1st Energy Storage event will be held at the NH Conference Centre Koningshof in Veldhoven, The Netherlands. This event focuses on the latest developments and technologies in the Energy Storage sector and offers you the opportunity to learn from high-profile speakers. AEP Hybrid Power will be present and would like to invite you to come and visit our booth. At our booth we will be showcasing our portfolio of high-quality Power Electronics and Ultracapacitor modules specially designed for dynamic energy storage systems. AEP Hybrid Power is your total partner from the preliminary consultations, engineering, installation and commissioning of your system right through to the after-sales service and supply of spare parts. Registration is open and free of charge. To register, please click here. We are looking forward to meet all of you in Veldhoven, The Netherlands in February! Meet AEP Linac at BHPA SYMPOSIUM 2019! AEP Linac has the great pleasure to invite you to come and visit us at our booth during the 34th Annual Belgian Hospital Physicists Association (BHPA) Symposium. 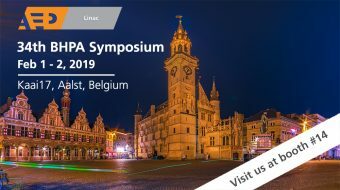 This year’s BHPA Symposium will be held on Friday the 1st & Saturday the 2nd of February 2019 at the Kaai17 in Aalst, Belgium. AEP Linac is located in booth #14. In addition, you can attend several presentations. The theme of this symposium is “Bridging the gap between imaging and therapy” and experts are invited to share their thoughts and parallel sessions will be organized for proffered presentations. We are looking forward to meet all of you in Aalst early February!